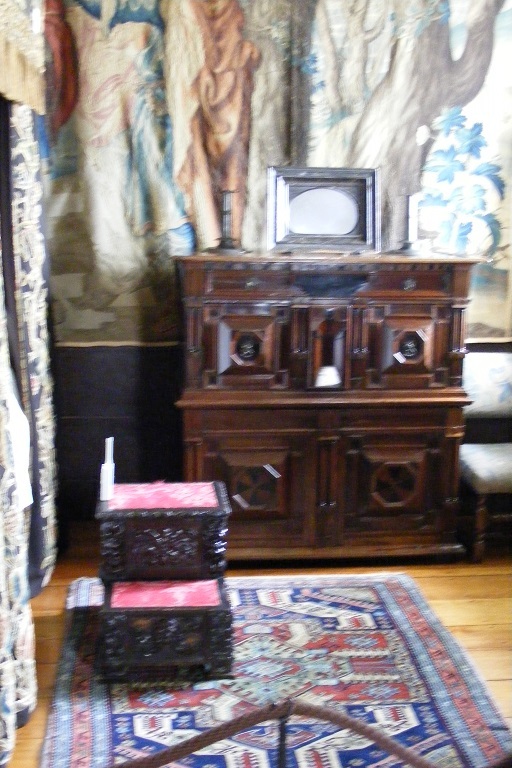 We visited two National Trust properties. 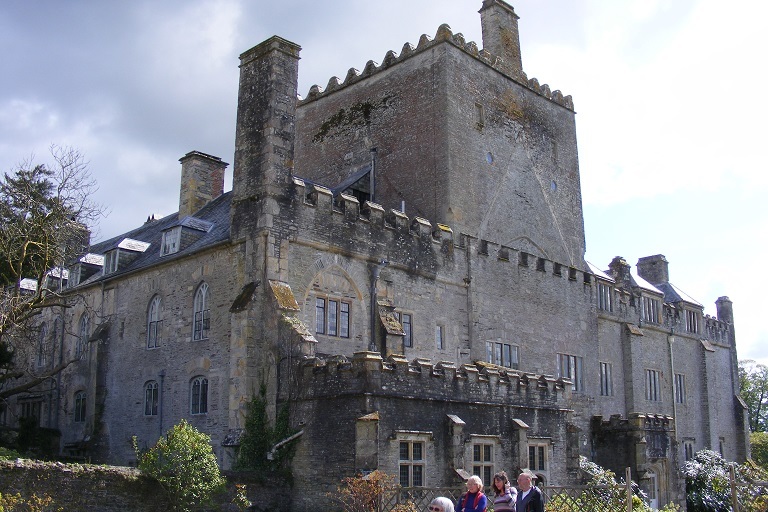 First was Cotehele which actually encompassed a house, a water mill and a quay and associated buildings on the River Tamar. 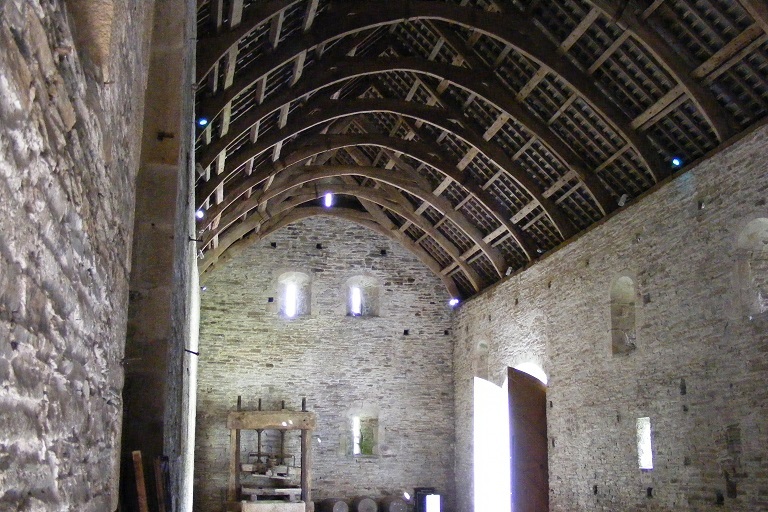 Cotehele was a medieval building and the tour has not altered much in the last 200 years. 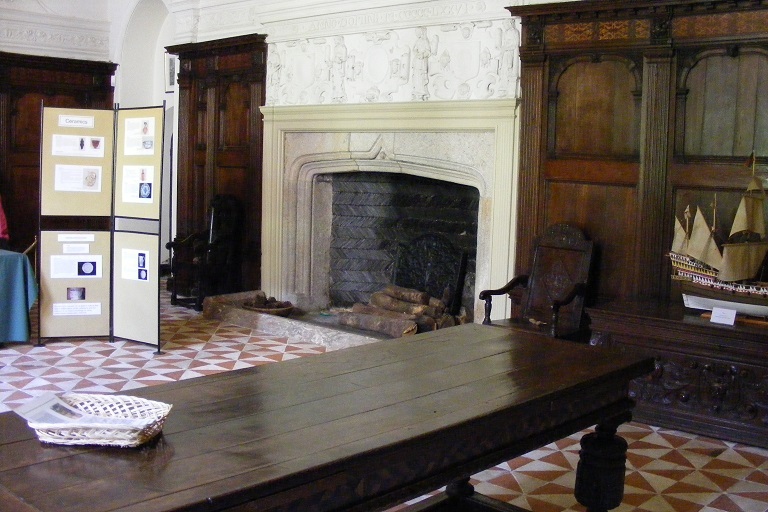 The Edgcumbe family entertained King George III in 1789. 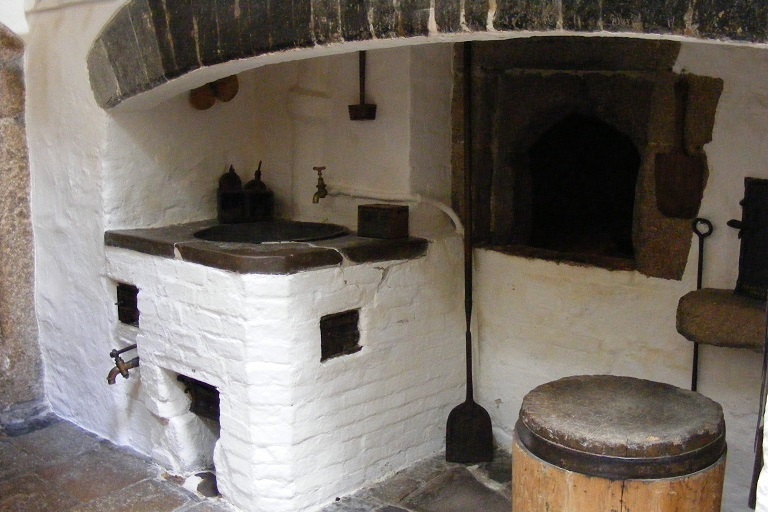 The main residence was Mount Edgcumbe and Cotehele was a country residence. 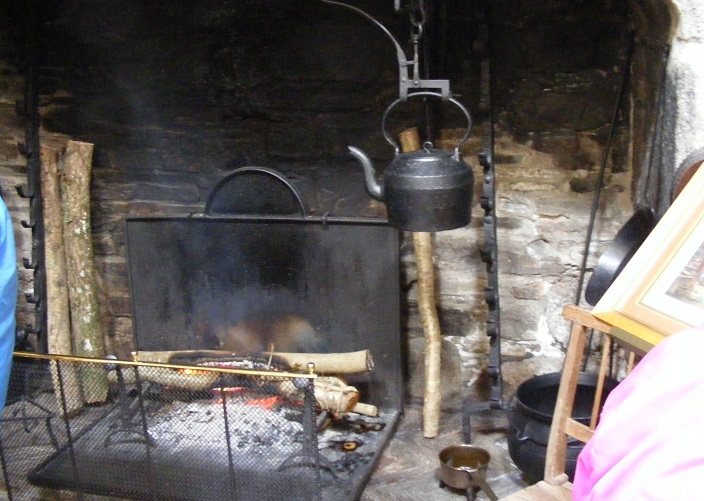 Much income came from tin trading on the Tamar River and the quay and buildings are still there and can be visited. 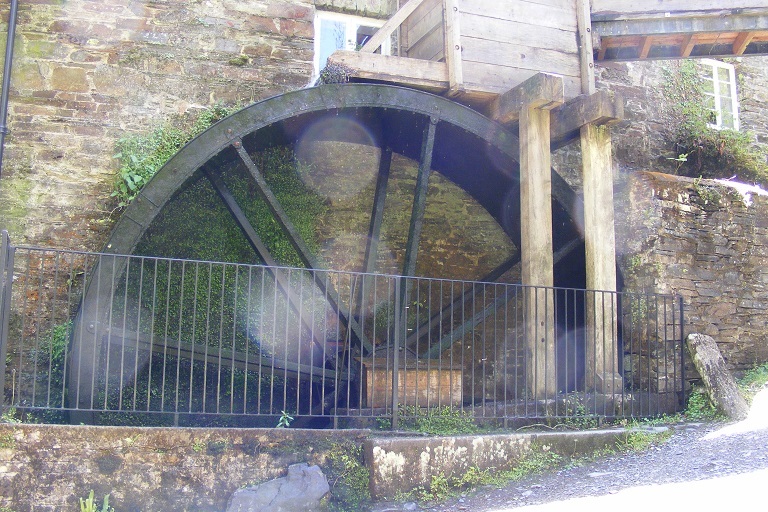 A water mill is also still grinding flour for domestic use. 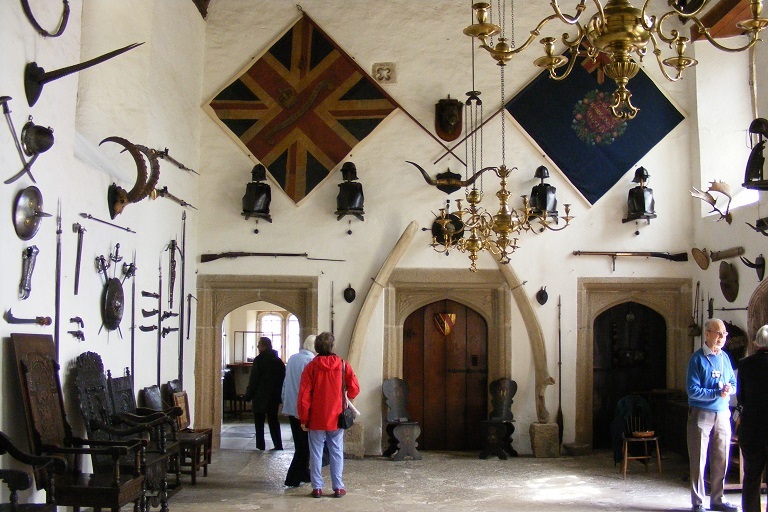 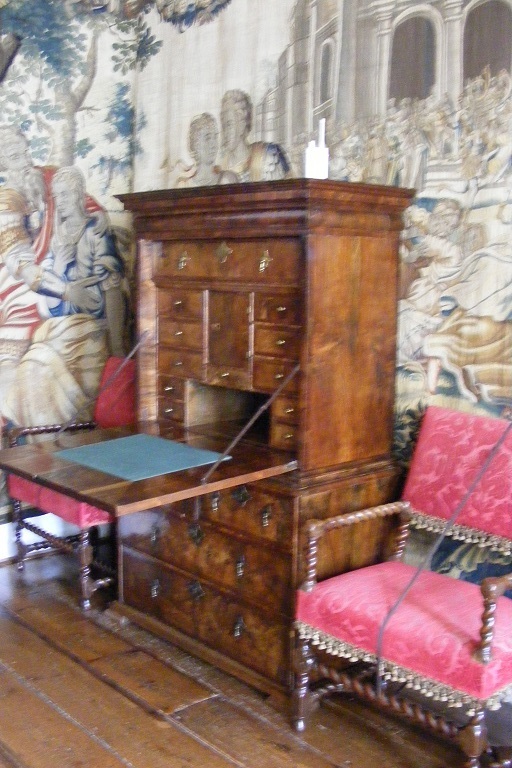 The Great Hall and furniture in that and subsequent rooms. 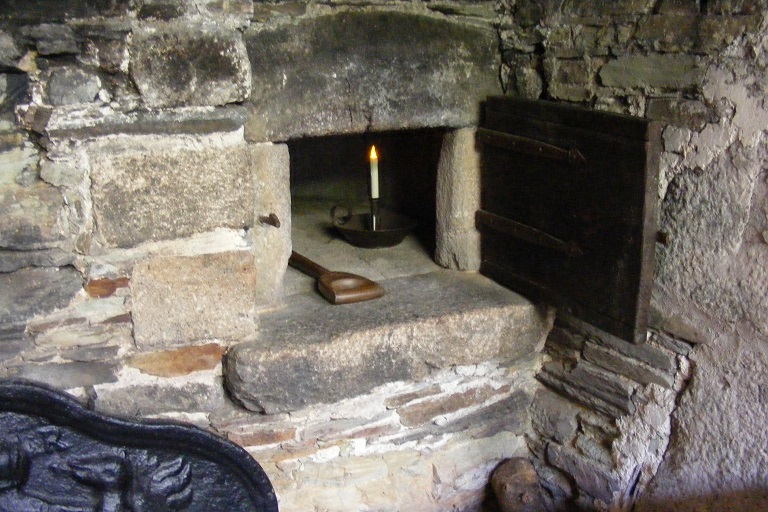 Kitchen oven, dresser and cooking fire. 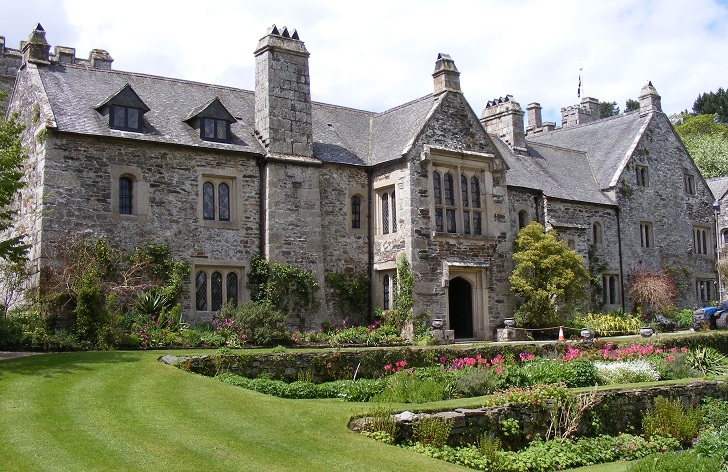 Rear of house with gardens. 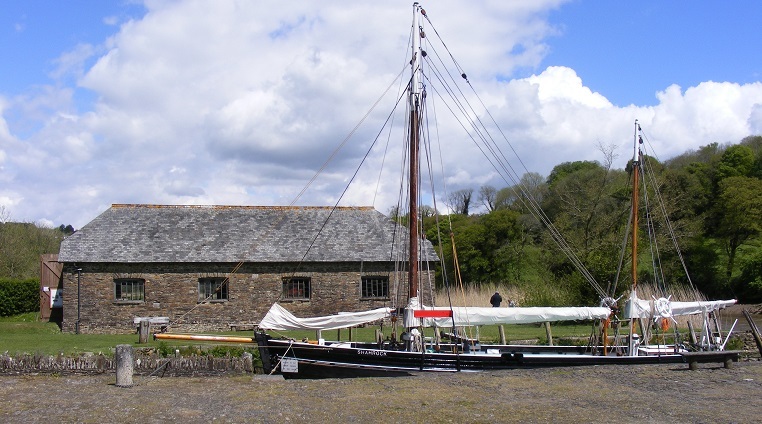 The Quay is about half a mile from the house. 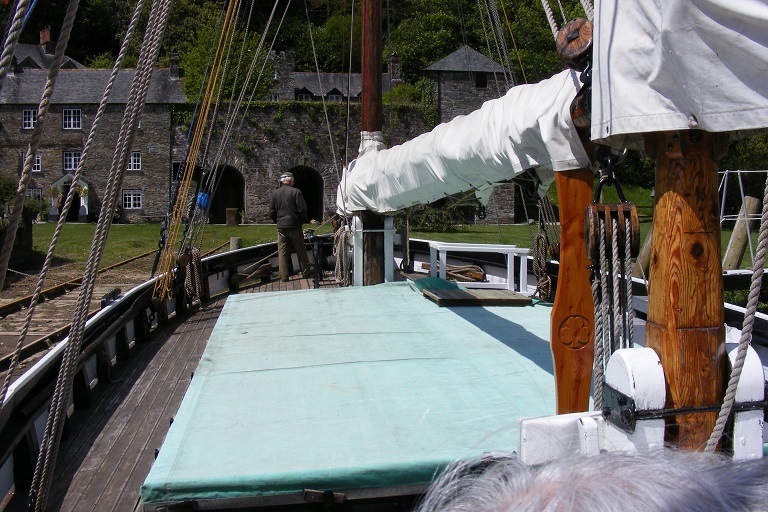 Sailing barge Shamrock. 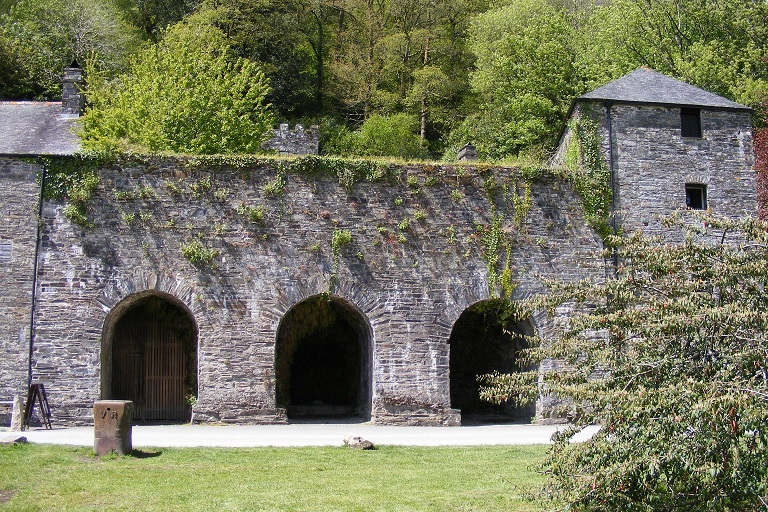 The buildings were lime kilns, the arch being the bottom of the kilns in which limestone was burned - it was used for lime mortar, soil conditioning and as limewash. 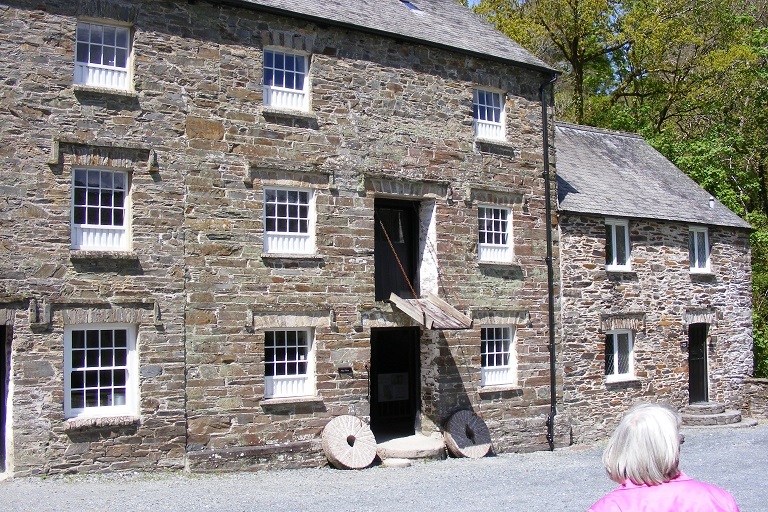 There were other buildings for warehousing, boat repairs, offices, etc. 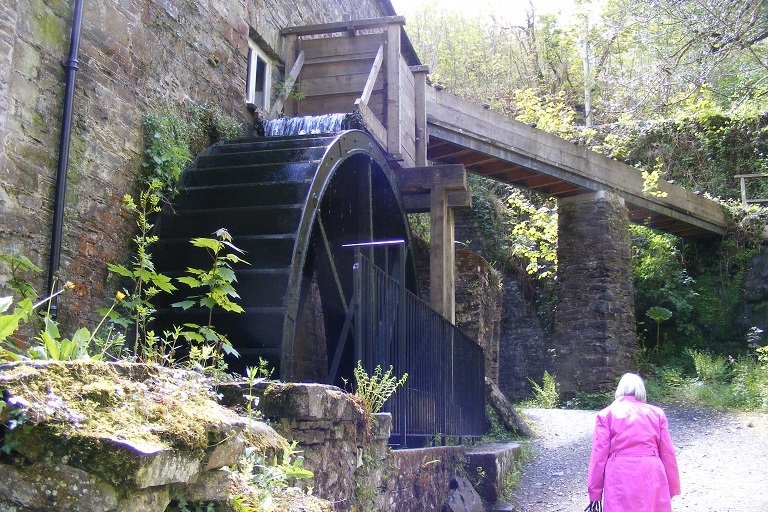 The mill was about 500 yards up a stream above the quay. 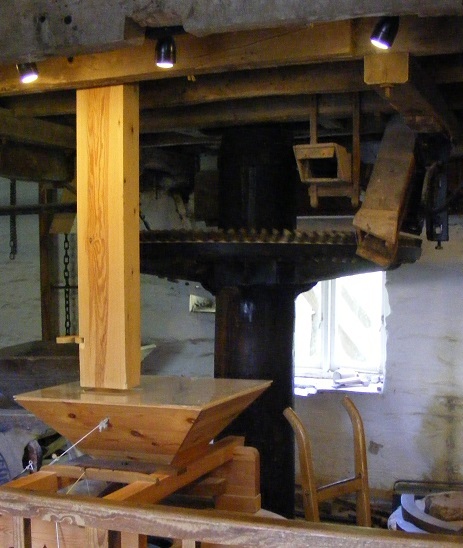 The mill building, overshot water wheel with high level water shute, and a detail of the mill interior. 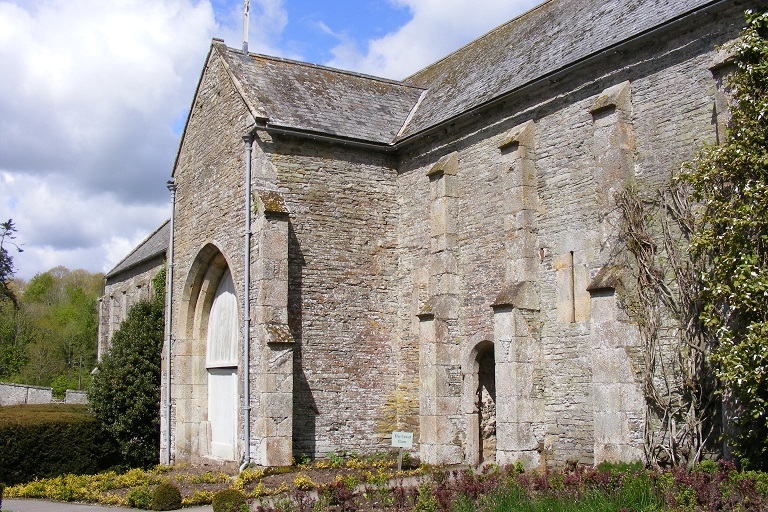 The second property visited was Buckland Abbey. 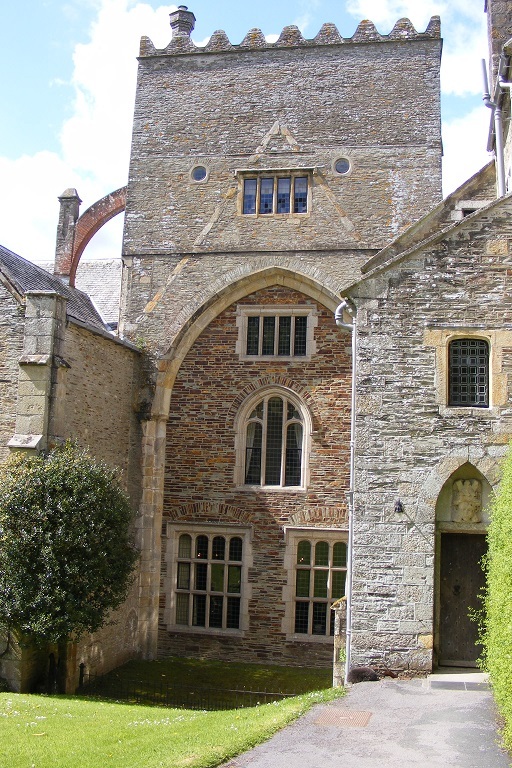 After the dissolution of the monasteries and abbeys the property of Buckland Abbey was bought by Sir Richard Grenville and converted to a house. 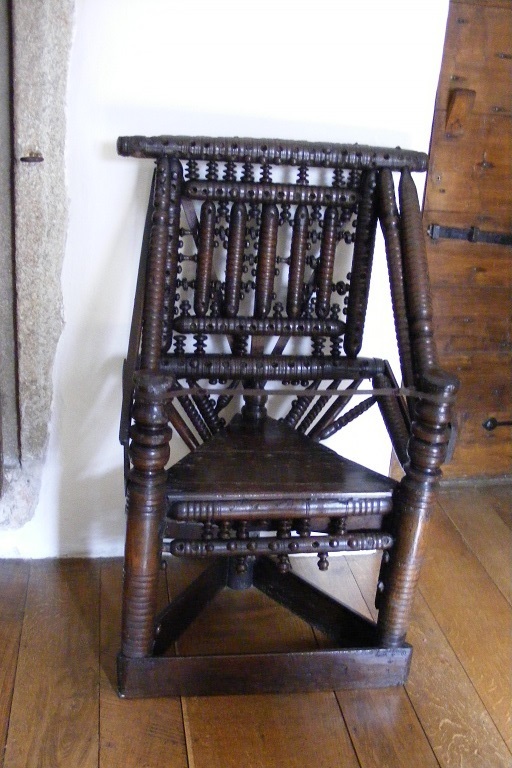 Later, it was acquired by Sir Francis Drake. 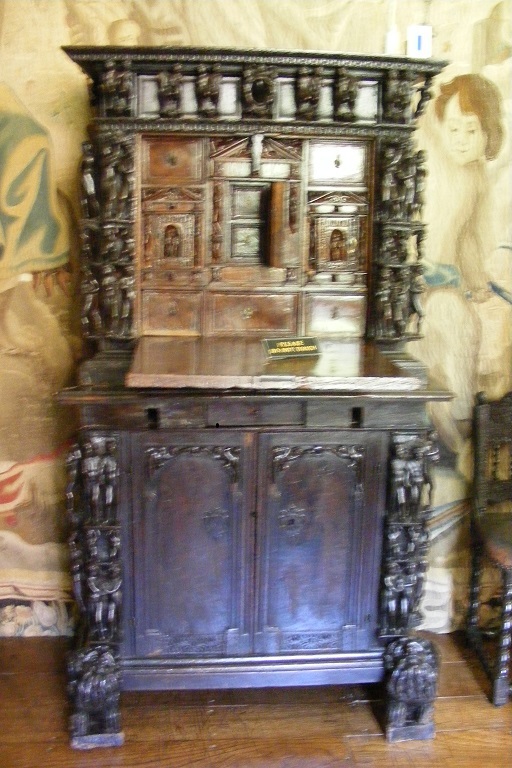 He lived in it for 15 years and the property remained in his descendants' family until 1946. 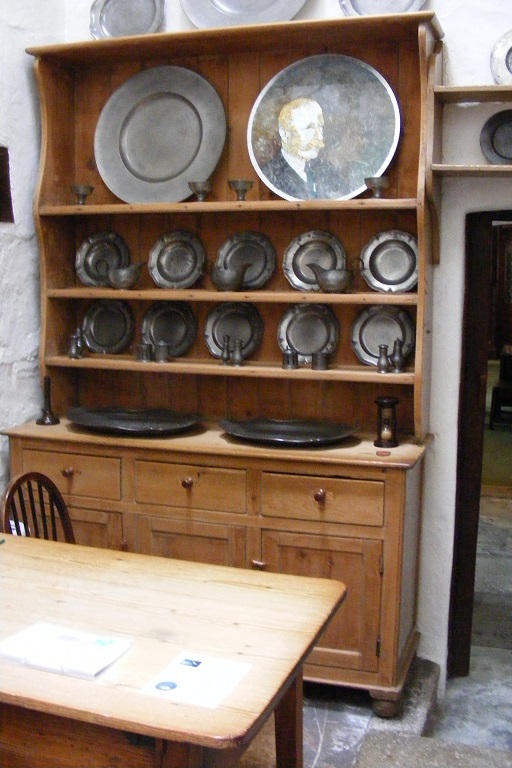 The property was presented to the National Trust in 1948 by the new owner, local land owner Arthur Rodd. 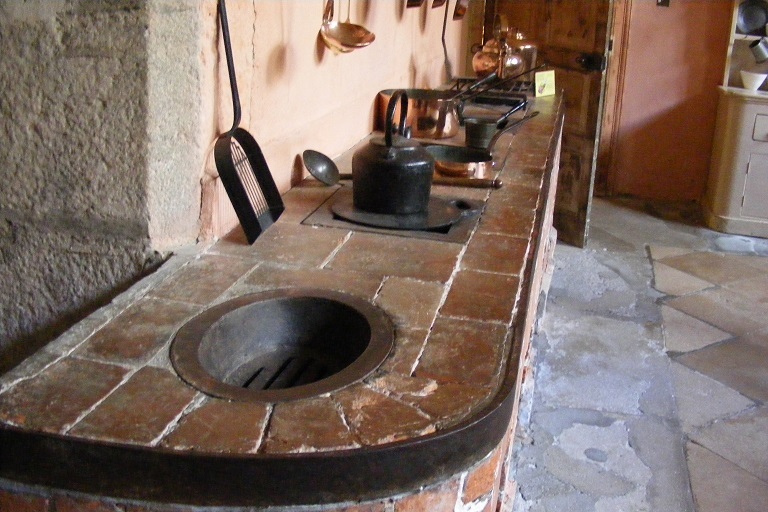 Kitchen details - roasting spit in fireplace, food preparation area, small oven. 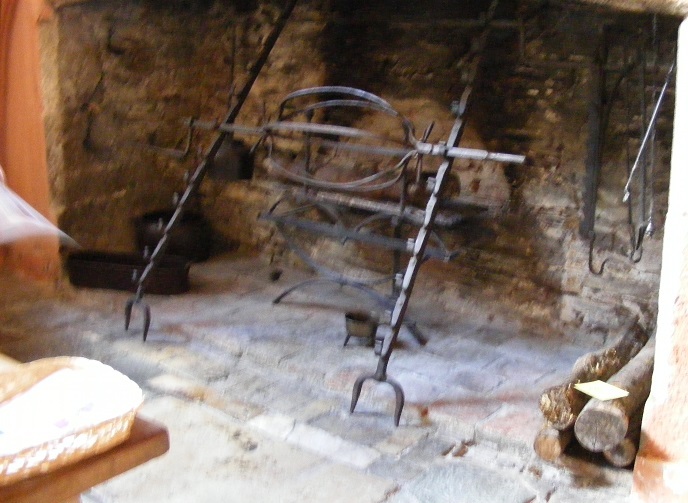 Fireplace in dining room; exterior of house at opposite end to image on top row.